"I had a sneak preview of the Disney film, which was directed by Steven Spielberg, and I was really inspired," Poernomo says. "I have taken a lot of my styling cues from Giant Country and am really excited about transforming KOI into a BFG world. The space will be remodelled to reflect the landscape the BFG inhabits and it is designed to dwarf children so they are made to feel tiny and overawed. "I was thrilled to be invited to bring this tale to life. It has been so much fun. I want to take children and their parents on an adventure. 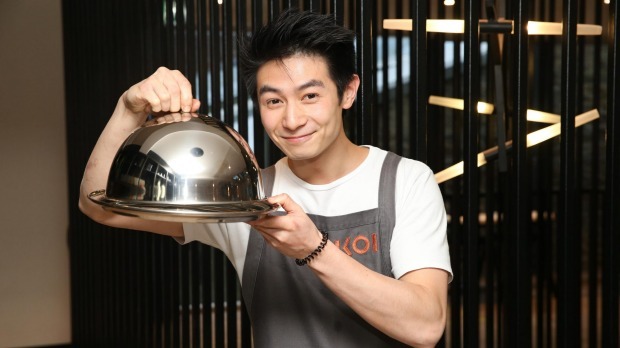 A couple of the dishes are very surprising and I am going to present them in a really theatrical way." In The BFG, snozzcumbers are described as being "half as long again as an ordinary man, thick around the girth and covered in coarse nubbles". 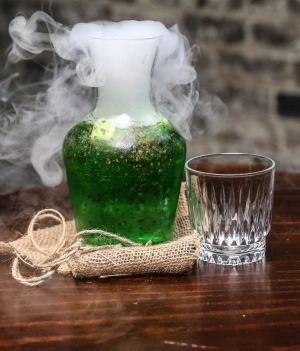 Poernomo says he has taken inspiration for said snozzcumbers from a dish he dubbed Moss as part of a pressure test during the last series of MasterChef. While Poernomo's snozzcumbers may look a bit icky-poo on the plate – think piles of exploded snot and a giant-sized booger – the chef says his focus was getting the flavours right. 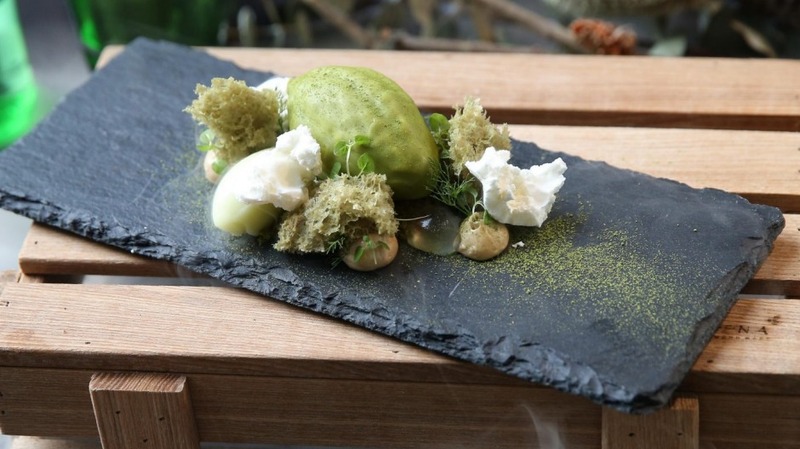 The dish features a matcha moss, pistachio mousse with salted caramel gel, white chocolate matcha and pistachio sponge, green apple sorbet, dulce cremeux, apple blossom jelly and lime yoghurt snow. "I want the food to be confronting," he says. "I also want that element of surprise. I want diners to be transported to Rotsome and I want them to use their imagination. Creativity is at the core of what I do. I want people to be challenged by the flavours – that is part of the immersive experience." Poernomo, who gave up his bachelor of health science degree to pursue a career as a chef, says he really related to themes that were brought to life in the film about the friendly giant who blows dreams through children's bedroom windows. "The BFG collects dreams for children," he says. "The whole storyline is about the magic and mystery of dreams. I could relate to that as I'm someone who has chased my dreams and it takes effort and hard work. The movie shows that when you put your mind to it, anything is possible. And yes, when a dream comes true it is amazing, but you can also catch a bad dream, which mirrors real life." Rather than writing down his "gropefluncking dreams on titchy bits of paper" like the BFG, Poernomo and his older brother Arnold spent a week in the kitchen "squibbling" about the menu. "Just like the BFG film, nothing in life comes easy," Poernomo says. "There are always hurdles and challenges to achieve your dreams. The BFG wanted to give good dreams to kids. For me, my dream is just simply to become a really, really good cook." Rotsome, The BFG-inspired pop-up takes place on July 4 from 1pm-6pm at Koi Dessert Bar, 46 Kensington St, Chippendale. The BFG is in cinemas from June 30.